The five 'other' vowel sounds do not fit into the category of a long vowels or short vowels. Listen to the following sounds and words to become familiar with pronouncing these challenging sounds. 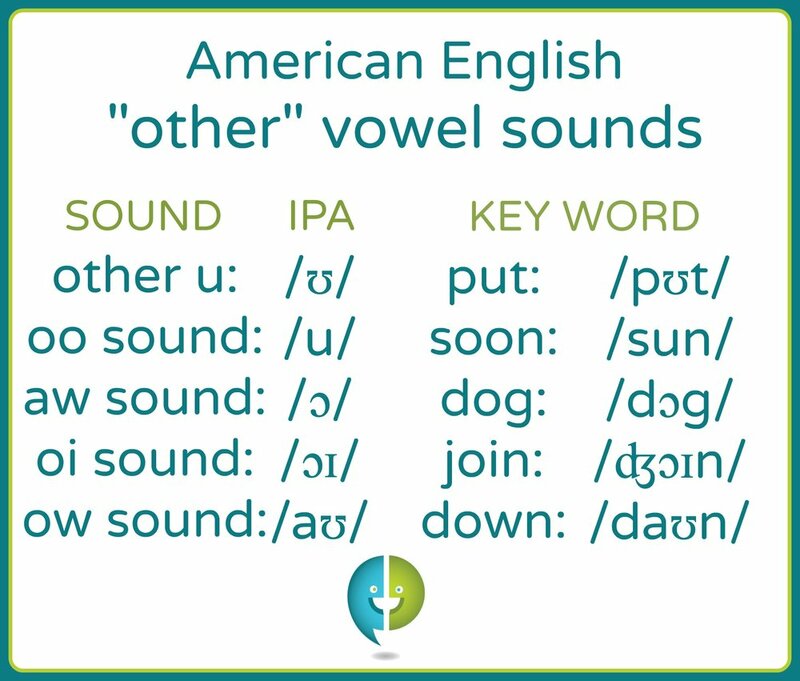 Two other vowels, the 'oi sound' and 'ow sound,' are two-sound vowels, also known as diphthongs (a diphthong is a vowel sound that also includes a /w/ or a /y/). The 'other u,' 'oo sound,' and 'aw sound' are all single-sound vowels. Many 'other vowels' share spellings with long or short vowels as well as with each other. For instance, the 'ow' spelling can be used for words pronounced as 'long o,' as in the word 'snow,' or as the 'ow sound,' as in the word 'cow.' Within the category of 'other vowels,' the 'oo' spelling can be pronounced as the 'other u' sound, as in the word 'good,' or as the 'oo sound,' as in the word 'soon.' Understanding all the potential pronunciations of common spellings is an important aspect of learning 'other vowel' pronunciations.